Below is a step by step guidelines on how to use the South Dakota business search tool. 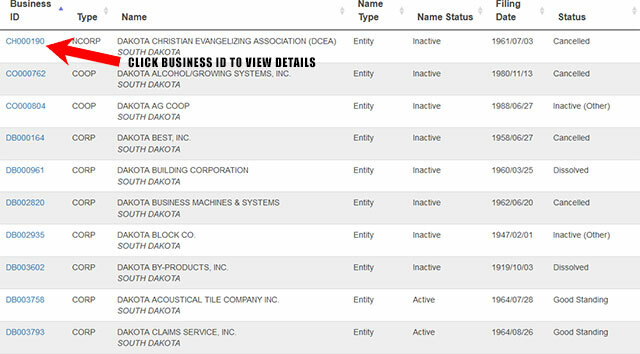 1. the first step is to access the South Dakota business search page by clicking here. The search page looks similar to the screenshot below. 2. The business search form allows you to search by name and business ID. They also give you the option to search only active entities and search by name that starts with or contains. For this example we will be searching by name. In the "Search Name" field type "Dakota" and then select "Starts With". Leave the rest of the fields as is and then click the "Search" button as shown in the screenshot below. 3. When you click the "Search" button, it will show you a list of results that match your search criteria. It displays the business ID, type, name, name type, status, filing date and status for each business entity listed. 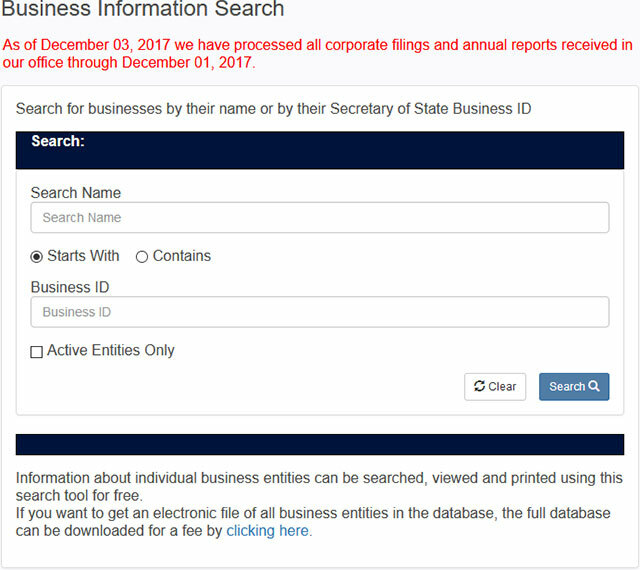 To view the details of a business entity, click their business ID as shown in the screenshot below. 4. 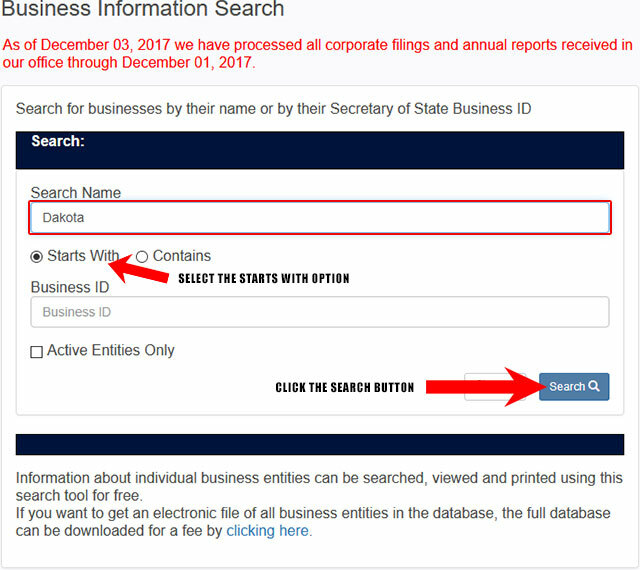 When you click the business ID of one of the results listed, it will take you to the details for that business entity. It will display the business ID, type, status, term of duration, filing date etc. You can see the details page in the screenshot below. You can get a certificate of good standing by ordering for the same for a small fee. There are also facilities to fine online reports for a company. 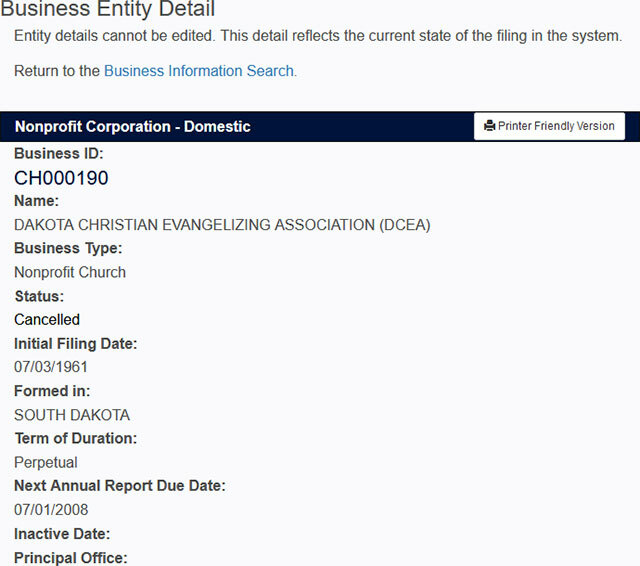 You can also do online filing to set up a new company or entity in South Dakota. 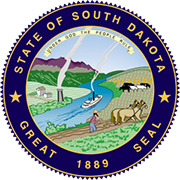 The Secretary of State of South Dakota is an elected constitutional officer in the US state of South Dakota. It is an executive position which looks after the various matters of the state. The current Secretary of State of South Dakota is Shantel Crabs who replaced the previous incumbent Jason Gant.